The second season is sickend by a common effect as many others works. It's the unloved inbetween. It's the bridge between the fresh start, and the epic end. It's like it doesn't know what it wants to be exactly. Wants it to show more of the world, further the plot or introduce new things? In the end it does everything and sometimes that at once. Not everything is bad about this season. It isn't even bad. It's just feels this way in comparission with the other two. There are a few things happening that were great like the introduction of Ba-Sing-Se and the last character, who joins the group. 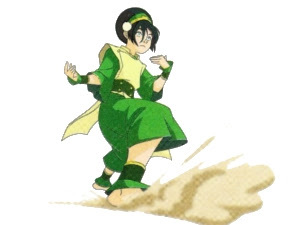 Toph is a blind girl and the best earth bender in the whole world. First i was not amused by the fact that she is blind, because that would make her actions limited. Wrong guess on my part. With her perfect sense of touch and hearing she is as capable as all the others. The maker created a handicaped person who doesn't feel like one. She is a light hearted girl and tough as a stone. Her entry enriches the group in many ways and make the story even more loveable. The other new main character is the sister of Zuko and replaces him as the antagonist to let him evolve to a kind hearted boy who begins to lessen his ties to his father. She is mad and powerful, but doesn't feel like that. She fights so many time and even though she never really loses, she also never wins really. It lessen her impact as a foe, but thats something a lot of series has as a problem. Constant fights with the same characters and stretching the conclusion of it. There will also be a lot of reintroduced characters which let the season feels reused, but they also use the time to deepen their charastitic. It's like a double edged sword that needed to be handle carefully which doesn't happens all the time. In the end a lot of conflicts arise, the problem grow bigger and the conclusion misses. 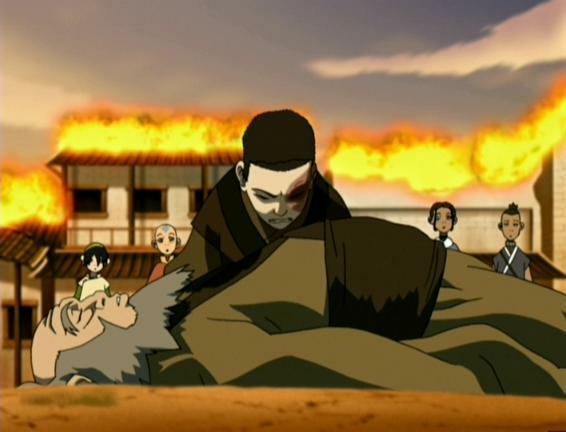 Even though some moments are great and funny, but not as many as in the season before, but it has my favoured moment in it, which i will tell you in the last post about the original series. The question this time is more about the characters. Which one of them was your favoured and why? *Spoilers! * For me it was Sokka, because he spoke out what i thought a lot of times. He felt like an sarcastic adult dragged along by kids because of his kidness. Katara comes in second, because she was so lovely. 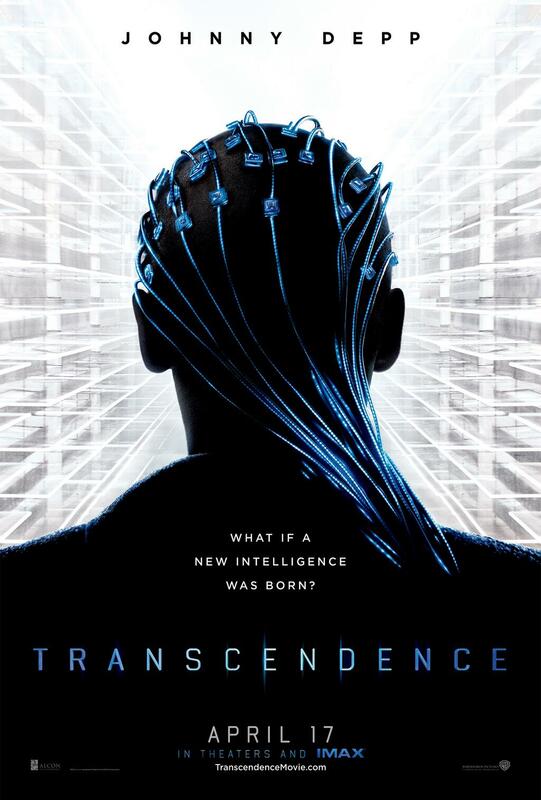 Everytime you thought AND? AND? Does she come together now with Aang? Oh no, not again... damn! The series was a such a surprising pleasure to watch. I had a friend over two summers ago and we wound up viewing all three seasons in one weekend. It's so sharply animated and written more progressively than most adult shows. My favorite character throughout was Uncle. What a champ! Uncle was indeed great. Also his relationship with Zouku was quite funny and full of wisdom.